Copan is a town in the west of Honduras, which is famous in its own right, but is also a central location for a number of other nationally important and interesting venues. It is a typical Honduran destination and so has the look and feel of a Central American community, but is unique too, with its walled surround and cobbled streets. As soon as visitors go through the main entrance to the town, they can feel they are in a special place, with its steep narrow cobbled streets, balconied houses, main-square, market and beautiful church. Then add all the bars, restaurants, souvenir shops, trees, flowers and obviously the ‘tuck tucks’ (common form of transport throughout the region). 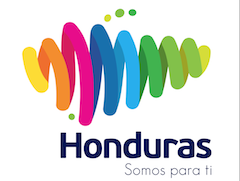 Whether it is by day or night, a walk around the town is a delight, especially as the locals are genuinely friendly and have a real desire for visitors to enjoy themselves and learn about the Honduran way of life. 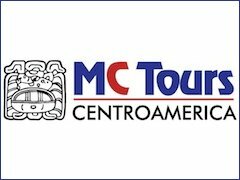 This can take 2/3 hours or the whole day, depending on how much of the Central American culture visitors wish to immerse themselves in? 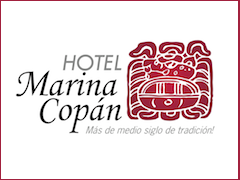 There are many places to stay in the town and one of the most popular hotels is the Marian Copan, as it is located very close to the main square and was build out of the original buildings. It is constructed in a traditional style, but with modern features, such as an outdoor swimming pool, gym, restaurant and bar. Probably the most famous location in all of Honduras, some say the whole of Central America are the Copan Ruinas, which are the remains of a Mayan Community. The Mayan Civilisation were the first people in Central America to develop writing, mathematics, a calendar, an astronomical system and architecture. There are many such ‘historical sites’ throughout Mexico, Belize, Honduras and Guatemala, but this is the most famous. This is because this region was known as the Cultural Centre for the whole of the Mayan Race and the furthest point south, which they settled in. This city was established in the early pre-classic period, but records started in the 5th century AD. There were more than a dozen Kings that reigned over this city and at its height; it was populated by more than 20,000 people who lived throughout this valley region. Copan Ruinas are just as popular to tourists as they are to historians, archaeologists and anthropologists. Visitors can spend hours there, but it is advised to do it with a guide, so they can explain the fascinating history of the site. There is also the Museum of Mayan Sculptures, which has an entrance in the shape of a monster serpent, a typical example of Mayan design. It houses a replica of a Rosalila Temple and has many pieces of artefacts and architecture. Due to its importance and history to the region, in 1980 it was declared as an UNESCO World Heritage Site, due to its amazing architecture, structures, pyramids, temples, artefacts and evidence on how the civilisation actually existed. Casa K’inich is a museum and children’s learning centre, located in Jose Trinidad Cabarias, which is an old military fortress. It provides information on the Mayan Civilisation and history of Honduras, but put in a simple and straight forward way, which is suitable for children and adults alike. It also has interactive games, which helps make the whole experience fun too. It is situated in the hills above Copan, so provides great views of the whole valley and the city itself. Another great place to visit and also very close to the town centre is the Macaw Mountain Park and Nature Reserve. 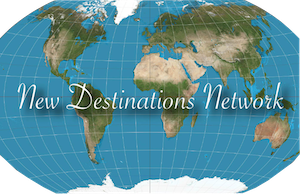 This is a multi-faceted eco-tourism project on 10 heavenly forest acres of land. It has exotic birds, including the countries national bird, which it was named after. It has a vast collection of birds, but also reptiles, insects, flora and fauna, plus towering hardwood trees. After a tour, visitors can get close and personal with the birds, even talking with them, if they are in the mood? It has an excellent restaurant and coffee roasting house, so visitors can enjoy tradition food and drink. A short journey out of Copan town is Welhez Coffee Plantation and Rain Forest, where a tour is highly recommended, as it is extremely interesting and informative. There is also a ‘coffee tasting class’ which is fun and opens up the mind, palate and nose to a whole new world of coffee appreciation. There is also a beautifully situated restaurant, which serves traditional cuisine, juices and obviously coffee. This plantation is located in a rain forest and is part of the ‘Rainforest Alliance’ with trails, bridges and walks, all with a back drop of mountainous scenery of trees, flowers and herbs. There are also 85 species of birds, butteries, reptiles and insects, all flourishing in this amazing tropical jungle. 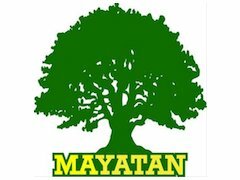 The Mayatan Bilingual School is run by the Mayatan Foundation, which is a non-profit organisation and is situated on the outskirts of Copan. It provides life-changing bilingual education to children and teenagers that would not otherwise receive a satisfactory level of learning. Mayatan openly and proactively invites visits, sponsorship, volunteers, study programmes and teachers to this amazing project and venue. If anyone is interested in getting involved in any of the above ways, please get in touch them and find out more? Copan is more than a town; it is the keeper of the ‘jewel in the crown’ of what was ‘The Mayan Civilisation’. It is also a great base to see other spectacular locations, tropical jungles and lush rain forests, all of which reveal their own unique and natural beauty to the visitor!